Negotiated sales are private transactions between a seller and a buyer. This is the most common way for an owner of capital equipment to sell their surplus. If a manufacturing company chooses to sell their equipment this way, there are a few options. 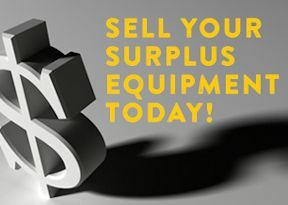 There are a number of ways for an equipment owner/user can sell to another equipment owner/user. 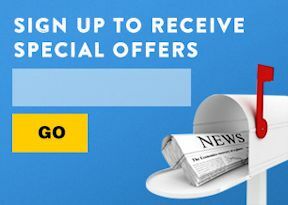 Traditionally, a manufacturing company would have had to rely on newspaper classified ads or contacting their own personal network of end users. The traditional ways are often slow. Furthermore, traditional methods rely on relatively small audiences (often limited to the local area). Depending on how specialized the equipment is, a machinery seller might have to literally get lucky to sell their machine. The internet has changed this. There are websites devoted to B2B transactions. eBay and Craigslist are the most common websites for these types of transactions. In general, these websites work really well for smaller equipment. Reason being, most people who shop on the internet are looking for an easy and seamless transaction. They often expect shipping to be included in an internet transaction. Large equipment is hard to move. Transportation costs vary greatly depending on the size of the equipment and the distance it has to travel. Another factor that makes selling large equipment this way difficult is that there is almost always additional cost to get big machinery on and off the truck. Rigging large equipment is often as expensive as trucking (and it has to be done on both ends). 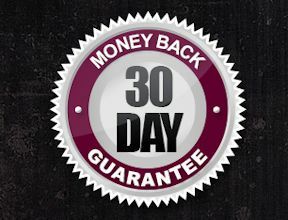 Machinery dealers offer the fastest way for a business owner to sell equipment. It is also most often the easiest. Used equipment dealers and machinery buyers can purchase and pay for equipment almost immediately. They have money allotted for these transactions. If needed, they can wire money the same day or overnight a personal or certified check. Manufacturing companies often desire to move their old equipment out quickly. They might need to free up space for an updated machine or might need to rearrange their plant for a new application. Whatever the reason, machinery dealers have the experience required to pick up and load out most equipment in a matter of days. It is also usually the easiest. With their network of rigging and transportation contacts, dealers do this type of work every day. Machinery dealers often help arrange rigging at the seller’s location. In most cases, machinery dealers have their own riggers and certainly have their own machinery moving equipment to unload the equipment at its final destination. Manufacturing companies can use the equity of their unneeded machinery to trade it in for equipment they can use. The outright sale of machinery and capital equipment can have unfavorable tax ramifications. Trade-ins afford manufacturing companies the ability to use the value of their existing equipment towards the purchase of updated equipment or machinery for a completely different application entirely. Many of the same machinery dealers who purchase machinery for their own inventory offer the option to consign machinery for manufacturing companies. In machinery consignment situations, the consignor and consignee agree to split of the profits from the sale of equipment and/or the consignor works on a mutually agreed upon commission. Equipment Dealers and Used Machinery Sellers offer a number of advantages. They know the market well and can usually get a higher price than otherwise possible. Dealers can showcase equipment in a way that is difficult in other types of sales. Dealers professionally clean equipment or in some cases offer refurbishment services. Machinery dealers can arrange for buyers to come inspect equipment in a prime location and can demonstrate equipment under power. Machinery dealers can market equipment in ways that would be impossible for a seller who has a single machine to liquidate. Dealers usually guarantee most equipment they sell, which in turn makes prospective buyers more comfortable with a purchase. Machinery dealers always get the highest possible price for equipment. Equipment dealers and equipment brokers will sell machinery on behalf of manufacturing companies who have surplus. In either case, the broker is responsible for facilitating inspections, marketing, and negotiating with prospective buyers. Brokers and owners negotiate a commission. Commissions vary greatly depending on the type of equipment and the specific situation. Like anything, there are negatives associated with machinery brokerages. The owner of the equipment does have to continue paying the costs associated with owning the equipment (storage, maintenance, insurance). Brokerage is usually not the way to maximize the value of equipment. It is, however, a good way for a seller to test the market without much commitment. If a manufacturing company has a lot of equipment to sell, an auction sale is often the best option. It would be almost impossible for a manufacturing company to have their own machinery auction. There are specific licenses required to have an auction in almost every state and the cost to run an auction would be cost prohibitive to somebody who wasn’t experienced. If a manufacturer, or anyone else for that matter, thinks they have enough surplus equipment to justify having an equipment auction, it usually makes sense to contact an machinery auctioneering company who specializes in industrial equipment auctions. These days, some of the larger machinery dealers have machinery auction divisions. Kempler Industries offers the services of its equipment auctioneering division, KI Auctions, LLC. Having decades of experience buying and selling equipment make companies like ours uniquely qualified to help manufacturing companies have an auction. There are benefits to working with a machinery dealer. Quite often, machinery dealers have the ability to market and sell equipment before an auction starts. Furthermore, if the desired amount is not obtained at auction, machinery dealers have the unique ability to offer equipment for sale well after an auction is concluded. Knowing the in's and out's of selling equipment can be very confusing. That's why Kempler Industries offers all of the above mentioned services. If you don’t know which service is right for you, contact our buying department and we can discuss the many options that are available. We look forward to hearing from you.